With the due date just over 2 weeks away, my desire to cook has decreased dramatically. The desire to eat, however, is as normal as ever. 🙂 I haven’t really had a lot of cravings (if any)…but I can’t get enough of these potato chips from Trader Joe’s. Seriously, I eat sandwiches for lunch every day just so I have a reason to eat the chips (I’ve been able to resist eating them straight out of the bag, amazingly). ANYWAY…just thought I’d let you know these are GOOD. The weirdest part is I couldn’t STAND these chips the first trimester. Go figure. On a pregnancy-related note…I AM craving the smell of ink. You know, really “yummy” ink that smells so good in some paperbacks, newspapers and coupons (like the value pack coupons)? I just finished a paperback that I honestly would have rather just smelled than read. Don’t get me wrong, it was a great book, but it just smelled soooo good. Sniff sniff. Baby better come quick before I get too crazy. I know Thanksgiving is over, but as I was eating a slice of the pumpkin cheesecake I made last week, I thought I better tell you just how good the recipe is. My friend Adrianne sent the recipe to me and it is AWESOME. A great cheesecake and super easy to make. You don’t even have to do a waterbath when you bake it, which earns lots of extra points with me. One quick note: make sure you don’t overcook it…I took mine out a LITTLE late and the crust was a bit overcooked in the corners. I did a little research and found that you take a cheesecake out of the oven when the center 3-inches of the cake is still jiggly. Mine was firm, so I could have taken it out earlier and had better crust. Regardless, the cheesecake was great! Phew! What a week! Thanksgiving was great, and we have TONS of leftovers to tide us over for a while. Thanks to my sister who was a big help! Amazingly, my feet didn’t swell up to the size of watermelons like they did 3 years ago. I only took one picture of all my Thanksgiving food…and this is it: smushing up the cranberries for the slush, which was as yummy as ever. Seeing as how I’m a mere 3 weeks from my due date, not sure how much cooking I’ll be doing the next little while. Guess we’ll see! I’ll plan menus anyhow…can’t hurt to have a plan! PLEASE SHARE YOUR MENUS!!!!!!! As you can see I’m not very inspiring for all of you this week. We definitely need as many menus as we can get! Hope everyone had a Happy Thanksgiving!! I will be back on Sunday with a weekly menu…until then, please post your favorite Thanksgiving recipes & traditions (click to link). Those ideas will certainly come in handy for Christmas! If you’re brave/crazy enough to go shopping today…try not to get killed or anything. Thanksgiving Prep: The Best of the Best! Nate said I should have done a Thanksgiving post where everyone shares their best recipes & food traditions. Gotta admit, that’s a great idea…so now’s your chance! 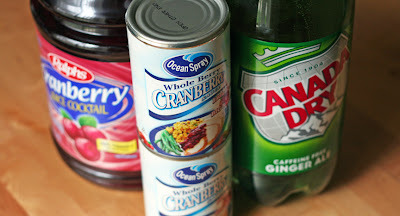 My favorite Thanksgiving recipe that I make every year is Cranberry Slush. This is a Thanksgiving tradition from my mom’s family. It was my great-grandmother’s recipe and it is DELICIOUS. You’ll love it, unless, of course, you’re my sister and are CRAZY and don’t like it. She’s the only one I’ve met who doesn’t, but let’s keep in mind she actually said the following words last night: “I don’t really like chocolate.” Told you she’s crazy. Please share your Thanksgiving Bests! Timing is everything, right? That couldn’t be truer than when you are cooking Thanksgiving dinner. ESPECIALLY if you only have 1 oven. It is tricky. I thought I’d share my schedule – hopefully it’s helpful to some of you out there. Quick Jane tip – once the turkey goes in the oven and I know approximate times for everything (based on schedule below), I write the schedule with specific times on post-it notes and stick that to the wall above the oven, That way I don’t forget when to do things. It helps so much! Get that frozen turkey in the fridge! You need 1 day for every 4 pounds to defrost a turkey in the fridge, and trust me, it’s much better to defrost this way rather than in water in your sink (that’s the fast way, but truly not as effective…think, partially frozen turkey Thanksgiving morning). My now-favorite way to cook turkey is to spatchcock and dry brine the turkey. In this case, buy a fresh, un-brined turkey 3 days before Thanksgiving and begin the dry brine process. Cut up bread for stuffing. I cut white sandwich bread into bite-sized cubes, spread on cookie sheets and leave out in open air to dry out. Make any casseroles that can sit in the fridge overnight. The first half of my family’s Cranberry Slush needs to be prepared the day before (but can be prepared even earlier if you want). For the years I make squash rolls, I cook the squash the day before. Prep & stuff turkey in the morning and get in the oven. Butterball has an awesome online guide, which includes a calculator to determine how long you need to cook your turkey. My 13 pound stuffed turkey will take 3 3/4 – 4 1/2 hours at 325 degrees. NOTE: If you use my new technique of spatchcocking the turkey, then the turkey will cook much faster and you can put it in the oven a little later than normal. Prepare side dishes that couldn’t be made ahead of time. About 1 hour before turkey is done, prepare mashed potatoes. Keep in pan with lid on until dinner. When turkey is done, take out of oven and cover with foil until later. Casseroles and stuffing can now go in the oven. When those dishes are done, bake the rolls last. Heat up any pre-prepared dishes near the end. Make gravy while casseroles are cooking. Mix cranberry slush at the VERY END right as everyone sits down to eat! Just writing this up is making me tired. Glad I have my sister here as sous-chef. 🙂 Even though it’s a lot of work, it is totally worth it – I can’t wait to eat it all! Time to talk dessert. I have no idea what I’m going to do this year for dessert, so I can’t really give you my plan yet. I love dessert, but I always get so worn out from making the dinner that I tend to cheat a bit when it comes to the sweets. Hence, no real dessert insight here on the blog. I WILL provide you with an amazing (and easy) French Silk Pie recipe from my sis-in-law Cora’s family (see below). And as far as pumpkin pie goes, I always just follow the directions on the can of pumpkin and it comes out just fine (and yes, I buy pre-made crust). See, I am certainly no Thanksgiving dessert expert. Today I’m counting on YOU to share your best Thanksgiving dessert recipes! Please post!!! Melt and cool chocolate. Cream butter – add sugar and vanilla and mix. Add chocolate. Add 2 eggs and beat on high 5 mins. Add 2 more eggs beat on high 5 minutes. 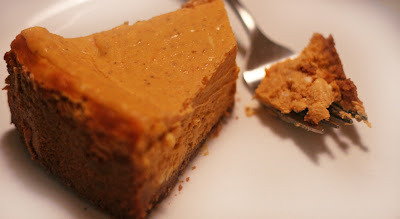 I use a pre-made graham cracker crust. Top with whipped cream. Keep refrigerated. I can’t wait to eat all the food we have planned for Thursday! My little sister is coming to town and I’m going to work her hard on Thursday. It will be really fun cooking with her and having all those yummy leftovers afterwards! And now, ladies & gentlemen…the Menu. Click on the bold titles to see recipes! 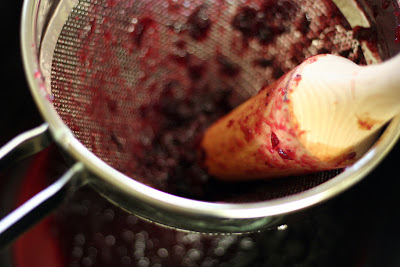 – Cranberry sauce: This year we’re going canned whole sauce, but click through for a yummy recipe for Cranberry Orange Relish that I normally make, when I’m not about to have a baby. I’m also going to make some Rhodes rolls on Friday to use for leftovers – good for making little turkey sandwiches. Again, I normally make Butterhorn Rolls from the Better Homes & Gardnes cookbook, but I need to take it easy this year. Hope the menu is helpful and that the recipes come in handy! They are all excellent. Tomorrow we’re talking dessert – get ready to share your favorite recipes! Tuesday will be scheduling the cooking – the least fun but most essential part of a successful Thanksgiving dinner. Below is my mom’s stuffing recipe. This is what I make every year – it’s not fancy, but it is so good. There are TONS of fancier recipes out there that I’m sure are delicious, but I like my stuffing simple & straightforward. As with all my mom’s recipes, there are no measurements. So sorry!!! Also, there’s lots of good info in the comments on the Gravy post, so make sure you read them! Quick note on more Thanksgiving Prep posts to come: Tomorrow I will share my entire menu for Thanksgiving, including recipes. Monday is all about dessert – so get your favorite recipes to share ready! Tuesday is about timing the meal prep – this is probably the trickiest part of cooking on Thanksgiving. Wednesday…we may be done, we shall see! The coutdown begins! After you have cubed the bread, let it sit out for a couple days to get stale OR bake in a 200º F oven for about 20 minutes until bread is starting to harden. Melt butter in large pan on the stove. Add onions and cook for about 5 minutes over medium heat. Add celery and carrots and cook over low for about 5 minutes. Whisk together the egg, salt, pepper and sage. In a very large bowl, combine the cubed bread with the egg and butter/veggie mixture. Add stock, ¼ cup at a time, until it seems like the right amount of moisture. Bake in a 350º F oven until hot all the way through. You can also stuff some of this in the bird then mix the "stuffed" stuffing with the "non-stuffed" stuffing and combine well.